Now let’s take a closer look at some of the changes. Situations that qualify only for limited relief include active efforts to avoid detection through the use of offshore accounts and multiple years of non-compliance. Those two categories probably comprise 75 per cent of the VDP applications that our tax lawyers file. Large dollar amounts of unpaid taxes and sophisticated taxpayers will also be eligible only for limited relief. An unreported offshore bank account is a very common situation and not necessarily a result of nefarious intent. Many new Canadians have bank accounts set up offshore before immigrating to Canada and are unaware of reporting requirements. Furthermore, funds in a foreign bank account are not necessarily “black money” — that is, income illegally obtained or not declared for tax purposes. Offshore inheritances are also very common. The mere existence of an offshore account in excess of $100,000 triggers a form T1135 reporting obligation, even if there is no income. Failure to file the form results in penalties. Why should full relief not be available? Even if there is unreported income from those accounts, why deny penalty abatement? Multiple years of unfiled returns will also only be eligible for limited voluntary disclosure protection. This is another case where culpability is not a given. I come across the following scenario repeatedly. Someone fails to file a tax return for various reasons — sometimes external factors, sometimes inability to pay the taxes owing — and, more often than you might believe, due to addiction problems such as drug or alcohol abuse or a psychological inability to cope with taxes. The filing obligation gets forgotten for a year and next April inevitably arrives with the subsequent tax filing deadline. The typical reaction is panic, which is often coupled with a lack of knowledge as to how to proceed. The unfiled years then pile up and often cause lack of sleep and tension with a spouse, until the tension causes them to seek tax advice and submit a VDP. This is not an ignominious offence that should result in denial of voluntary disclosure protection. Even if the failure to file is deliberate, why not encourage the taxpayer to come back into the fold? Large dollar amounts of taxes owing are only eligible for limited relief. So it appears that the CRA’s position is this: If you have a small debt you can come back into the system but if you owe big bucks — and the CRA is in a position to receive a large windfall — it’s not interested in letting you back in. Further, a sophisticated taxpayer who is offside and wants to report and pay back taxes plus interest won’t be eligible for full relief. I have little doubt that most clients in these situations who come to see me will leave our firm without proceeding. The result is that the taxman is removing the incentive for high net worth individuals to come clean on their taxes — the very people that CRA most needs (and should want) in the VDP. Beyond limited relief, there are also circumstances that won’t qualify for any relief at all. If you are a criminal who decides to report income, you won’t qualify at all for the VDP. Corporations with gross revenues in excess of $250 million will also be excluded. Why should a large corporation whose professional advisors made a mistake in filings not benefit from penalty relief? Because they can “afford” to pay? The CRA is also proposing a new rule that payment of estimated overdue taxes must be included with the VDP submission. If taxes can’t be paid in full, then payment arrangements supported by “adequate security” may be considered by CRA. What happens to a taxpayer with insufficient assets to furnish required security? Then no VDP relief. So unless you’re rich, voluntary disclosure protection is an unaffordable luxury. The new rules, if the proposed changes are approved, will bring much confusion to the process. The no-names VDP application is a perfect remedy — you submit a VDP application with no name and you are protected as of the date of submission, even though you must submit your name later, once the CRA confirms you are eligible. Oops! The no-names voluntary disclosure will be abolished. You can consult with CRA on an informal anonymous basis but you have no protection until your name is revealed. The new rules, if implemented, will produce a bumper crop of work for tax lawyers due to the uncertainties. So, if you come in with five years of unfiled returns will that qualify? We don’t know. We will have to ask the CRA. But if it takes several months for a response, and in the interim the CRA asks you to file those returns, you will be fully penalized, even though we contacted the CRA on your behalf before they contacted you. If the VDP changes are implemented as announced, the VDP will be eviscerated. Tax recoveries will go down. The number of disclosures will plummet. Bureaucrats will wonder what happened. The law of unforseen consequences states that intentions don’t always produce the desired effect. 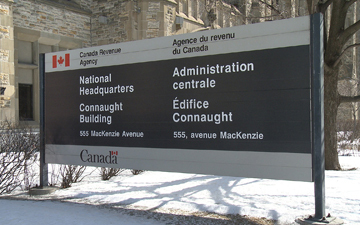 The CRA’s proposed changes will backfire.